The caracal cat is a wild mammal that lives in Africa and the Middle East. The anatomical adaptations that give the caracal its extraordinary beauty and athleticism are the result of 35 million years of felidae evolution. Its tufted ears incite comparisons with the lynx, but its closest genetic relatives are the serval and the African golden cat, which do not have ear tufts. 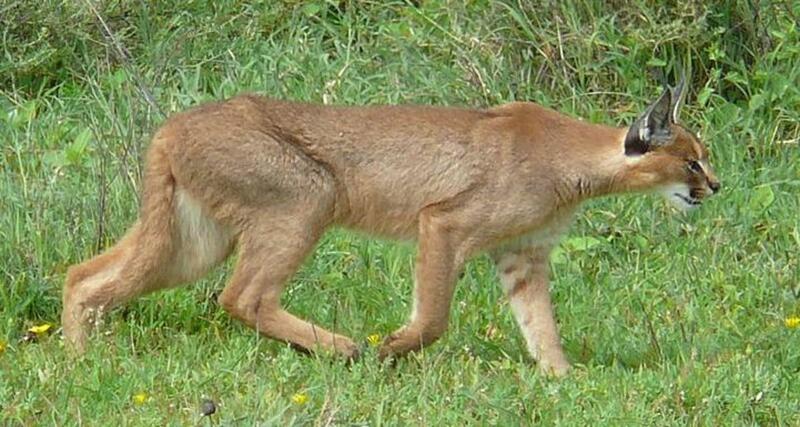 The caracal diverged from these closely related species around 9.4 million years ago. The caracal's adaptations and the variety of its prey serve it in a diverse range of habitats and territory sizes, meaning it is largely unthreatened as a species. 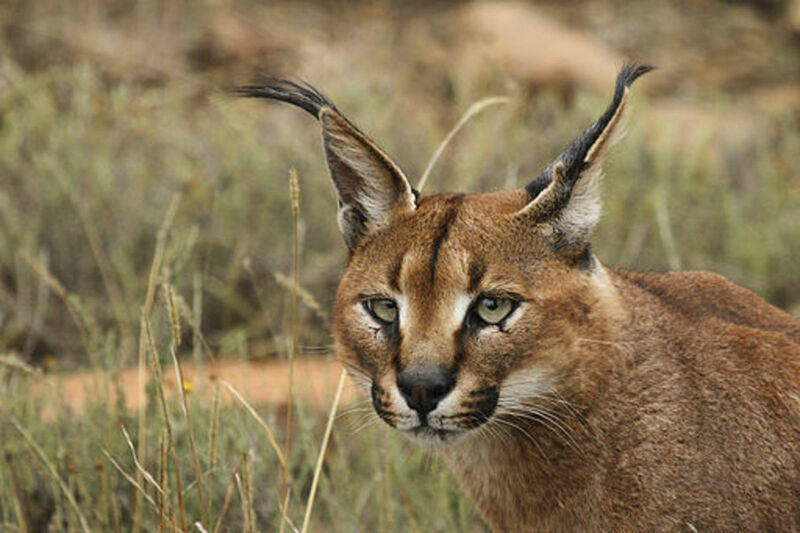 The caracal has black ear tufts that can grow up to 10 cm long. Lynx also have these tufts, and the caracal is often called the desert lynx for this reason. The tufts focus sound into the caracal's ears, improving its ability to pinpoint the position of its prey. For this purpose, the ears are highly flexible, with 29 muscles dedicated to their movement. 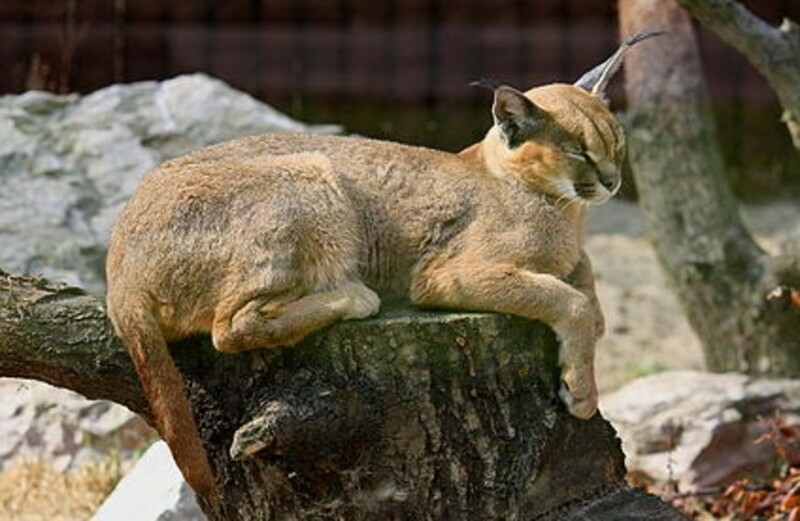 The tufts also create very little noise when the caracal brushes against branches and shrubbery, notifying the cat of the obstacle whilst keeping prey oblivious. This allows them to stalk to within 5 meters (16 feet) of their prey. 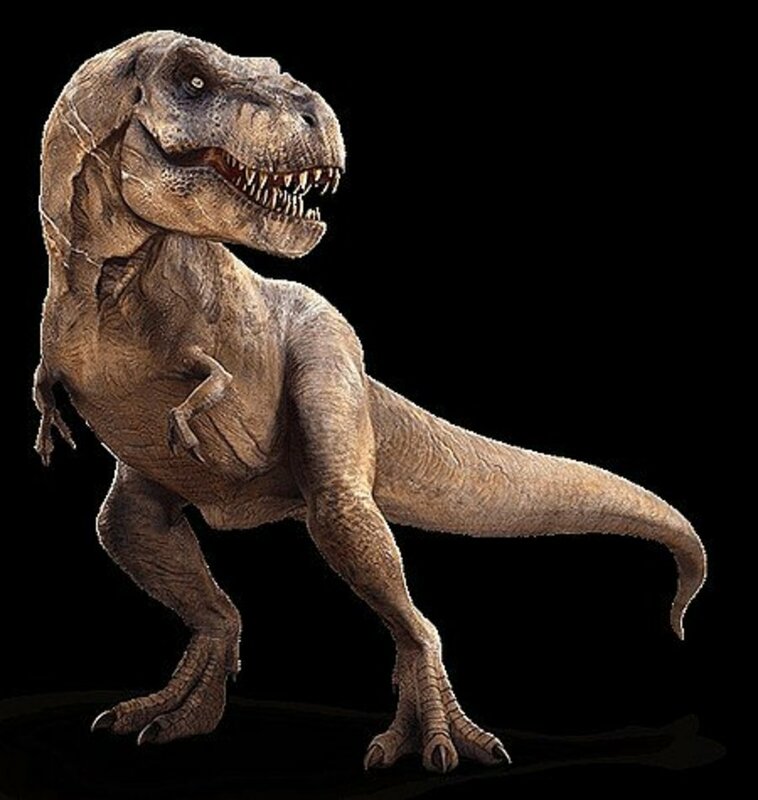 These wonders of evolution have extremely powerful hind legs, and can jump approximately 3 meters into the air to catch birds. In India it is a sport to release a caracal among a flock of pigeons to see how many birds it can capture. Some can kill as many as 12 pigeons in one attack. Their hind legs make them the fastest of the small cats, as well as allowing them to traverse rough, mountainous terrain. It may be possible for a caracal to go indefinitely without drinking water. This is because their demand for water is satisfied by the fluids in their prey. To help retain water, caracals have evolved to excrete highly concentrated drops of urine. Without a need for a nearby water source, caracals can exploit territory that other cats neglect. Much like a leopard, the caracal can climb trees and will sometimes store large prey on branches to return to later. This prevents the prey from being eaten by hyenas and lions, allowing the caracal to make the most of its hunting success. Its large retractable claws and powerful legs give it this climbing ability. The caracal is typically a nocturnal hunter, but like some cats (e.g. lions), it has adapted to hunting during the day. 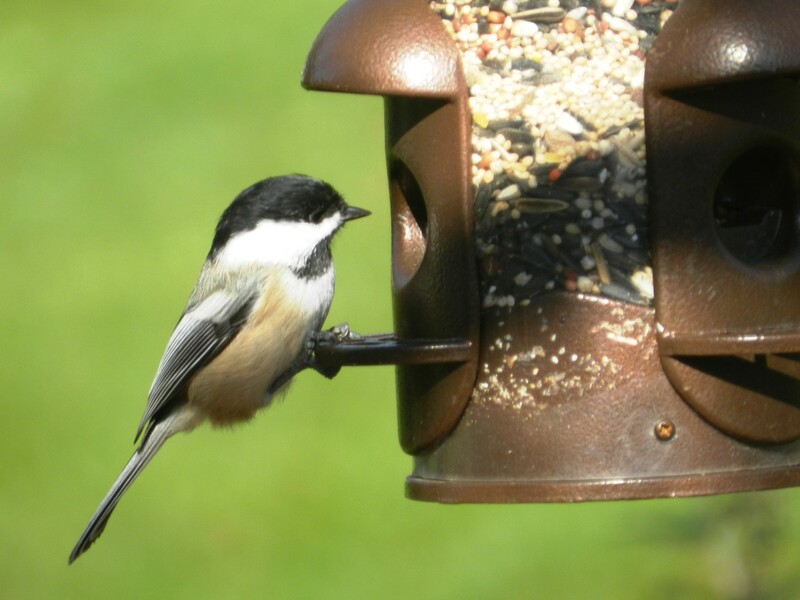 This behavioral adaptation allows it to acquire more food. Nevertheless, like most cats it will rest during the hottest part of the day to conserve energy. Stiff hairs grow between the hairs of the caracal's foot pads. This appears to be an adaptation that allows the animal to walk on soft sand. Indeed, the caracal is found in semi-desert conditions in the Middle East and North Africa. The caracal's ability to thrive in a number of habitats is a barometer of its evolutionary success. Name: Caracal comes from the Turkish words "kara kulak" meaning "black ear". 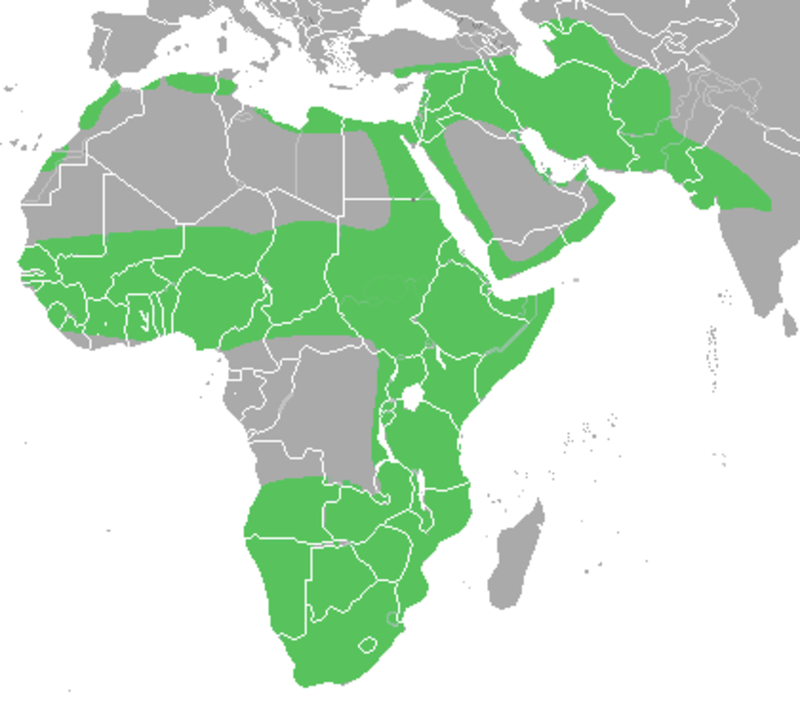 Habitat: (see map) The caracal can survive in a diverse range of habitats including dry savanna, semi-desert, woodland, scrub-land, and mountainous regions. Weight: Female: 11-15 kg (24-33 lbs). Male: 13-20 kg (29-44 lbs). Size: Female: 69-103 cm. Male: 75-106 cm (head to body length). Tail length is an additional 20-34 cm. Fur: Shares a lion's color and absence of pattern. Diet: Birds, small mammals, reptiles, insects, and sometimes plant matter. Occasionally larger prey such as impala, bush buck, and antelope fawns. Communication: They can growl, meow, hiss, purr, call, and even bark like dogs. Ear movements are also used to communicate. Cubs Per Litter: 1-6, weighing 200-250g. Cub Maturity: 16-18 months, but may leave their mother after 12 months. Predators: Man, and occasionally lions, hyenas, and leopards. Their habitat is being destroyed by desertification and agriculture, and they are often killed for attacking livestock. Social Interaction: Solitary, with independent territories that frequently overlap. Males and females interact during the annual mating season. Territory: 7 - 1,116 km² (3 - 430 sq. miles). Larger territory is correlated with bigger animals and sparseness of prey. The caracal is an exquisitely beautiful animal that has been shaped conspicuously by natural selection. Much like man, it is well adapted to a number of habitats and conditions. Unlike man, its ability to live without drinking water, and its remarkable leaping ability, give it an almost superhuman nature. Despite the incursions of man, the caracal is not threatened as a species. 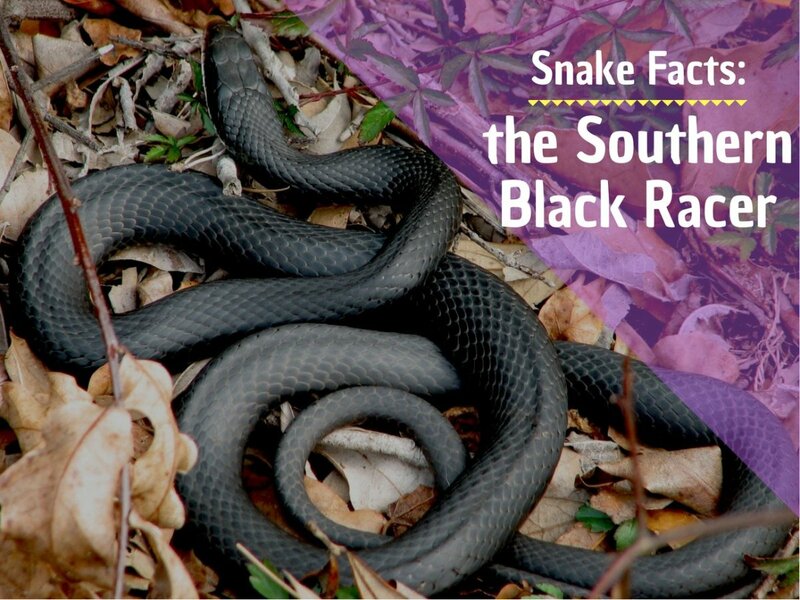 It is an evolutionary success story because of the adaptations that ensure its survival and ascendency in the wild. 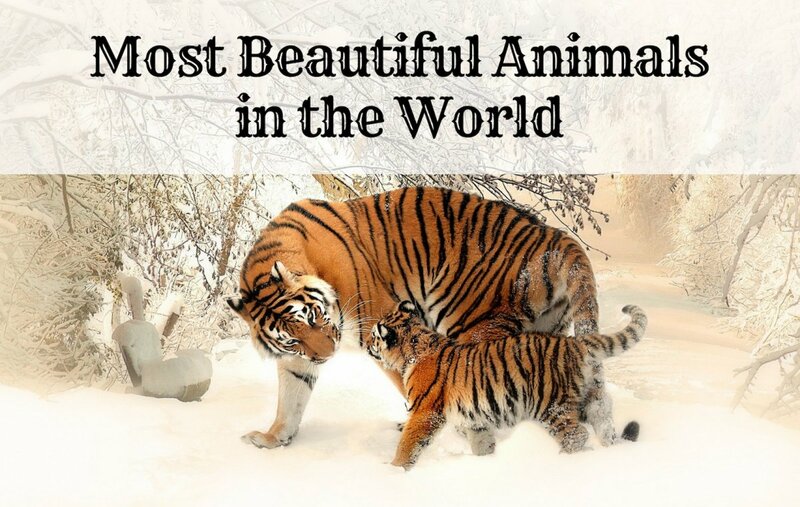 Crazy, these are wicked animals! So cool! how much water does a Caracal consume a day? but can you update this with more facts please because im doing an essay on it. okay i need this info for my essay, now what do caracals hide in??? Thanks for the information for my 5th grade writing essay! Thanks pom pom girl. Yes, I utilized many different sources to write this article. Glad you appreciate it. The hub that is linked below the summary should have more information on that. Just wondering what are some environmental impacts are that affect the Caracal? Thanks sgbrown! I would be honored if you shared and linked to my hub. I have read your hub and think it supplements this one well. Once this comes out of pending I will add a link to your hub here. Cheers! Thanks Dreamhowl. It surprised me too when I learnt of it. What better way to achieve evolutionary success than to overcome your need for drinking water?! Quite incredible creatures. 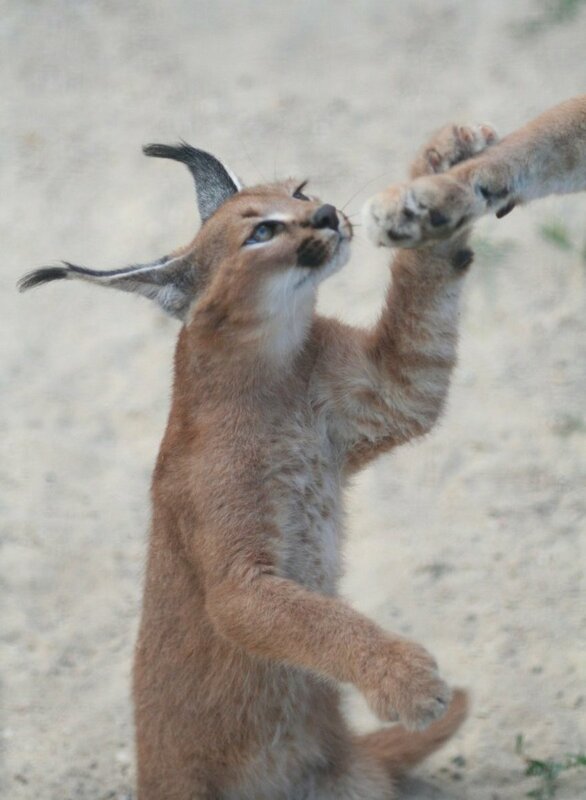 Thanks Wesman, appearances can be deceiving; caracals are most closely related to the serval and African golden cat. This is really interesting! Especially the fact they could survive indefinitely without water. That's pretty amazing! Voted up, awesome and interesting. This is a great hub on the caracal. You have really good information here! I wrote a hub on the "plight" of the caracal sometime back. I would really like to add a link to this hub, if that's ok with you! I would also like to share it on my wildlife blog. Let me know.... Voting this up and interesting! Very interesting! 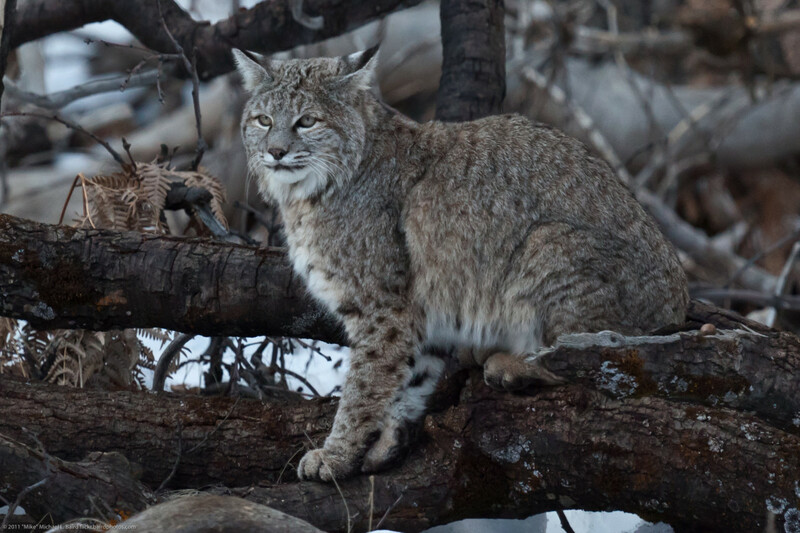 I've never heard of this species of wild cats, but they appear to be related to American bobcats, and the Canadian Lynx.